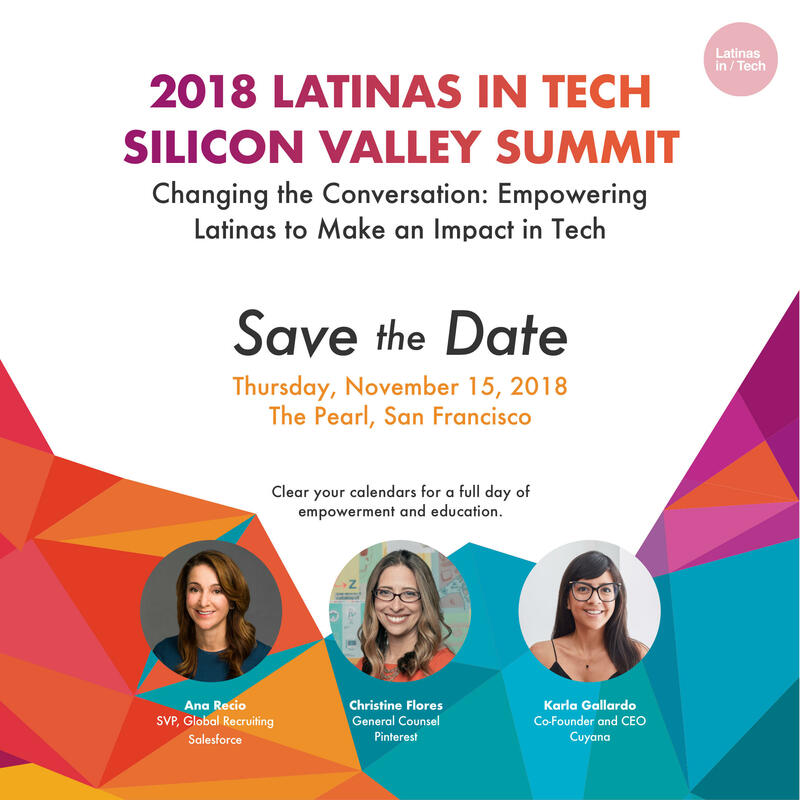 We’re thrilled to announce our 2018 Latinas in Tech Silicon Valley Summit! The theme for this year’s Summit is “Changing the Conversation: Empowering Latinas to Make an Impact in Tech” and we anticipate more than 200 participants from the entire tech ecosystem to come together for a day of empowerment, engagement, and education. It will be a LiT 🔥day full of Latina girl power! The Summit will take place on Thursday, Nov. 15 at The Pearl in San Francisco. Can't get away during the day? Then join us for our Latinas in Tech 2018 Silicon Valley Cocktail Reception from 5-8pm, which will include an opportunity to network with fellow Latinas working in tech, community allies and tech industry leaders. In addition, you will be able to meet with HR/Recruiter leaders from top tech companies as part of our LiT Recruit event.